The art of conversion in the world of content and product marketing has become more and more nuanced as the web continues to become more sophisticated. People invariably catch on to one type of marketing ploy or another, and as such, the tactic ultimately becomes ineffective. We all can recall numerous forms of online advertisements that once worked, but no longer do (“Congratulations! You’ve Won” and the “You’re Our 1,000,000 Visitor” are two very old examples). 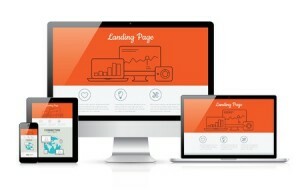 The art of creating a solid landing page – in combination with effective ad copy to convince people to click in the first place – is not as difficult as some might think, but it does require careful experimentation with trial and error to get everything finely tuned for your particular niche. If you need help with the broader details, however, then you’ve come to the right place: we’ll detail below how you can build the basis for effective landing pages that generate sales. Your headline likely will (and should) be the first thing your prospective customer sees when they arrive on your landing page. This headline is subconsciously analysed by visitors to see if the content of the page matches what their expectations suggested it would be. If you are pinging servers with ad copy that is misleading or otherwise doesn’t connect well with your headline, then don’t expect to convert many visitors. We recommend that you use the headline as an opportunity to describe the main benefit that is offered to the visitor by purchasing your product or service. In most cases, you will want the call to action button situated directly below the headline, with more content available below the button. As we mentioned above, the headline is your first opportunity to outline the benefits that your potential customers will receive if they make a purchase. This doesn’t mean that you shouldn’t go into more detail about what they can expect to receive! One of the best ways to construct a benefits summary is to use bullet points – as well as highly legible fonts – in order to ensure readers quickly absorb the information. You absolutely want to avoid creating a landing page that is stuffed with content; provide links to other pages (with ways to act directly from those pages as well) if you feel the need to provide more information. By and large, though, you want to encourage your visitors to act as soon as possible and in as few clicks as possible. As we mentioned above, no landing page for sales will be complete until you add a concrete call to action. Simply put, a call to action is a one-line invitation to try a product, make a purchase, or engage in some other way. This can sometimes be a simple email subscription request, while in other cases, it may be to outright purchase the product. Calls to action are often found in the form of clearly-outlined buttons or links, which make them more enticing to click. The combination of action words and vivid elements will ensure that people see your CTA and are more likely to act upon them. Much like bolding and emphasising content can be helpful when pinging servers for SEO, making your CTA stick out will only increase the likelihood of a sale. I am often shocked by seeing so many businesses offline as well as online who do not use a CTA. or at the register asking them to go online and join/register…and then provide a one time offer where they could buy something else. Gotta always have a call to action in every piece you create! Which Traffic Sources Should I Be Analysing in Google Analytics?